Domo was never meant to be one-size-fits-all. Every single customer uses Domo differently, because every single one of Domo’s customers IS different. That’s exactly why the announcement of the Domo Appstore was so huge at Domopalooza this year. It gives you the ability, more than ever, to customize Domo however you like, and need, for your business. This week we’re highlighting one of those apps that has been a game-changer for Domo’s retail customers. Identify individual store strengths and weaknesses. 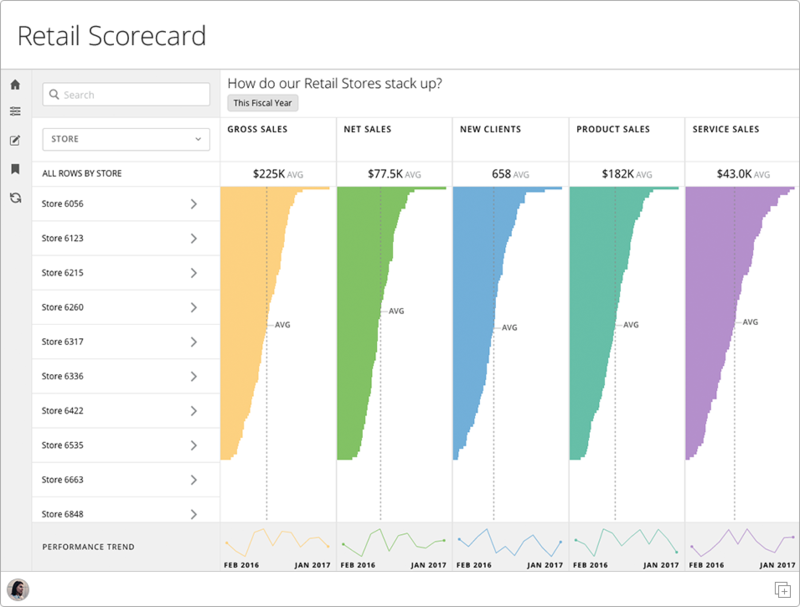 Whether you’re trying to manage the performance of two, ten, or thousands of store locations, the Retail Scorecard app gives you a real-time view of performance metrics, so you can score individual stores across any key benchmarks you use. Custom visuals let you see the data that matters most in a way that makes sense to you. Whether it’s pie charts or graphs, you can drill down into each store’s data, compare them against each other, and set up custom metrics and alerts to know when things change so you can gain the powerful insights you need to build a successful network of retail stores. Ready to learn more what Domo Apps can do for your business?